New Year’s Eve Salem : LAUNCH! Are you ready for a really cool event this summer? It’s set for Wednesday, August 8 on the Salem Common from 6:00-7:30 p.m., rain or shine. Yes, it’s time for the Salem Ice Scream Bowl when residents (and visitors) have the opportunity to sample some of the best ice cream on the North Shore from popular area ice cream shops. Did you know that the U.S. ice cream industry, from neighborhood shops to national brands, contributes more than $39-billion to the national economy and creates more than 188,000 jobs nationally? Or that the average American consumes more than 23 pounds of ice cream per year. Wow! Among the local businesses serving classic flavors and new combinations Wednesday night will be Melt Ice Cream, Maria’s Sweet Somethings, Captain Dusty’s, E.W. Hobbs Ice Cream, Cherry Farm Creamery, and more. 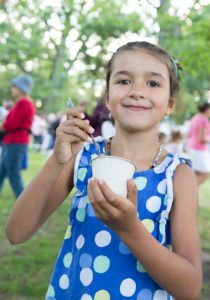 The Salem Ice Scream Bowl is a fun event for both children and adults to cool down from the heat and enjoy tasty ice cream. Always a favorite part of Salem’s two-week long Heritage Days celebration, this year’s Ice Scream Bowl will be followed directly by the Salem Common Neighborhood Association’s Movie Night! This Wednesday’s movie will be A Wrinkle in Time, starting at 8 pm. Bring a blanket and camp chairs so you can settle in after your ice cream to catch an outdoor movie with your neighbors. The Ice Scream Bowl is still going green! All of our materials are recyclable or compostable in an effort to reduce the impact of this popular event. Proceeds support Salem Main Streets, the downtown revitalization nonprofit that organizes the Salem Farmers’ Market and many other events in downtown Salem, as well as offering direct support to downtown businesses. The Ice Scream Bowl is coordinated in partnership between Salem Main Streets and the City of Salem as part of Salem Heritage Days. For any other questions or comments regarding this event, please contact Kylie Sullivan at Salem Main Streets at (978) 744-0004 x115 or email at kylie@salemmainstreets.org. Bring the kids, bring the in-laws. Salem Ice Scream Bowl is a cool family event. Performance art. Gallery art. Public art. It all awaits you this weekend, June 1-3 as the family-friendly Salem Arts Festival celebrates its 10th anniversary. And you are a most welcome guest!!! “It’s hard to believe how far this festival has come in 10 years. So much conscious work and collaboration across organizations and disciplines has been done over the years to create a one-of-a-kind event, truly unique to Salem,” says Kylie Sullivan, Executive Director of Salem Main Streets (SMS), the community non-profit that founded the Festival. The Salem Arts Festival kicks off with an opening reception at Salem’s Old Town Hall on Friday, June 1st at 6 p.m. The free event allows visitors to enjoy beautiful art work in the juried gallery while being entertained by renowned local and regional performers Betsy Miller Dance Projects, High Meadow Howlers, Samba Viva, and headliners Los Sugar Kings. 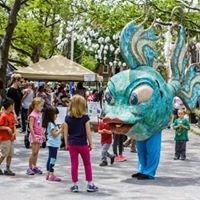 Over the weekend, this free celebration of arts, culture, creativity and community will feature over 200 artists and performers, and includes a variety of art, music, dance, and theatre performances. Public activities include onsite art-making for all ages, local artist vendors selling their creations, a juried art exhibition and a community-built public art installation. Live performances will take place (weather permitting) on Derby Square and Front Street. The event is rain or shine; in the event of inclement weather, performances will be moved into Old Town Hall and Front Street Coffeehouse. One of the most anticipated events this year is “Bee to Brick”, our fifth collaborative public art project, this year led by Salem artists Kate Babcock and Jen Platt. Bee to Brick will install playful swarms of several hundred “bees” around the festival area, created entirely out of recycled plastic bottles and other reusable plastic pollution. 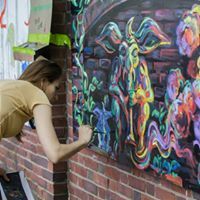 The Salem Arts Festival also celebrates the third annual “Mural Slam” on Artists’ Row this year, organized by the City of Salem’s Public Art Commission and Public Art Planner Deborah Greel. Murals will be painted throughout the weekend by 10 selected artists and will be completed by the end of the festival. The murals will remain to bring vibrancy to Downtown Salem throughout the year. The goal of the Salem Arts Festival is to promote all the arts in Salem and to provide the entire North Shore arts community with an opportunity to showcase their talents. SAF is organized by Salem Main Streets, the Creative Collective, and a collaboration of Salem organizations, including the City of Salem, Salem State University, Salem Food Tours, the Phoenix School, Salem Public Space Project, the Salem YMCA, Peabody Essex Museum, and the Salem Arts Association. 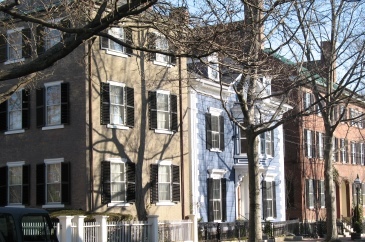 The Salem Arts Festival is supported in part by a grant from the Salem Cultural Council and an additional grant from the Massachusetts Cultural Council. Support for the annual Fest Fundraiser was provided by Salem Five Bank and by the gracious support of its other creative partners, including Retonica Event Lighting, The Scarlet Letter Press, and Octocog Marketing and Design. Visitors interested in attending the Salem Arts Festival can find easy access to the downtown by public transportation or parking at one of the many downtown lots in the City. 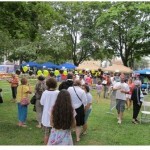 For more information and for the full festival schedule, please visit www.salemartsfestival.com. A special thanks to over 30 businesses that supported the 10th anniversary of the festival through financial support and other means, the list of supporters can be found on the festival website. Winner of Best Arts Festival in the 2017 Best of the North Shore (BONS) awards, the Salem Arts Festival strives to showcase and support as many artists, creatives and performers as possible on an annual basis and throughout the year. We hope to see you join the celebration this weekend in Salem Ma! Art has stood the test of time as an expression of the times within which it was born. As the World Art Day celebration approaches on April 15th, here in Salem we look ahead to our own celebration of expression with the Salem Arts Festival, scheduled June 1-3, 2018. For World Art Day, galleries and museums throughout the world are encouraged to have extended hours, hold conferences and panel discussions during the day, and host celebratory events in the evening. April 15th is the birthday of Leonardo da Vinci, a renowned painter, sculptor, writer, innovator, philosopher, and thinker. 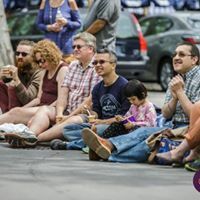 Over 5,000 people regularly attend and take part in our family-friendly festival, transforming downtown Salem, MA into an opportunity for the arts community to showcase a wide range of talents, not dissimilar to DaVinci. The Salem Arts Festival includes a gallery of juried artists’ work in Old Town Hall, outdoor stage venues for performance and dance, an artist and artisan street fair, a collaborative public arts project, and much more! “Salem is busting at the seams with visual artists, musicians, poets, dancers, makers, and creative individuals of all types. 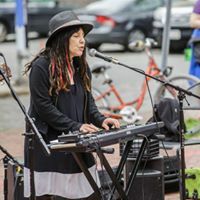 It’s one of the many reasons people love living and visiting here,” said Kylie Sullivan, Executive Director of Salem Main Streets, co-organizer of the Salem Arts Festival. The Salem Arts Festival is especially pleased to announce that the festival, initially run as a project of Salem Main Streets, has expanded this year to be run in collaboration with the Creative Collective. The Salem Arts Festival is organized by Salem Main Streets, the Creative Collective and a collaboration of Salem organizations which provide support for the festival, including the City of Salem, Salem State University, Salem Food Tours, the Phoenix School, Salem Public Space Project, the Salem YMCA, Peabody Essex Museum, and the Salem Arts Association. This program is supported in part by a grant from the Salem Cultural Council, a local agency which is supported by the Massachusetts Cultural Council, a state agency. The festival also relies on the gracious support of its other creative partners, including Retonica Event Lighting, The Scarlet Letter Press, and Octocog Marketing and Design. Are you hungry? And we mean not only hungry for something to eat but hungry to try something new? Then you have come to the right place. For 10 exciting days, Salem’s diverse dining venues literally throw open the doors and invite you to enjoy some of their best offerings at unbeatable prices. The occasion? Well, of course, it is Salem Spring Restaurant Week. Runs Sunday, March 18 – Thursday, March 22 and then again Sunday, March 25 – Thursday, March 29. Expect a wide variety of delicious foods – from steak to seafood, American to ethnic, there is something for everyone. Restaurants offer multiple choices for appetizers, entrees as well as desserts. 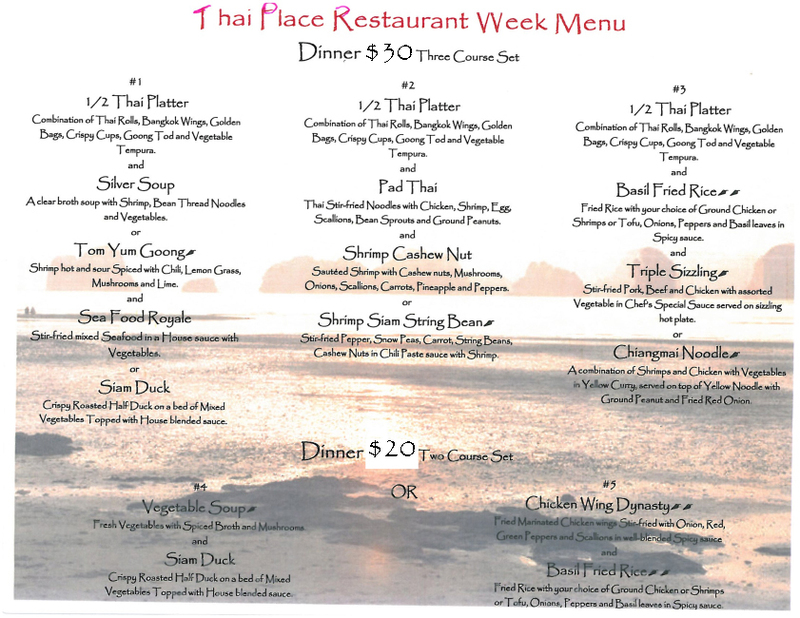 If you go to a different establishment each night during Salem Spring Restaurant Week, you still won’t see them all! Please note the list of restaurants below is not final, they are subject to change. Click here to make a reservation. A warm interior and excellent cuisine—a winning combination that defines the Adriatic Restaurant & Bar. The brick oven pizzas are always a hit, and imaginative libations entice customers to come back time and again. Excellent market-fresh fish dishes inspired by regions surrounding the Adriatic Sea give this Mediterranean eatery something to boast about. A lengthy wine list featuring imported varietals and blends bring every meal’s flavors to fore and make patrons hunger for more. Located in Historic Downtown Salem since 1996, Salem Beer Works has something for everyone. With 15 freshly brewed beers on tap each day, guests enjoy the seasonal patio (weather permitting) and proximity to the Salem waterfront. Whether you’re visiting from out of town, or live in the area, Salem Beer Works is the place to go for good food, good beer and good times. Chef-owner Giorgio Manzana hails from Lake Garda Italy in the Provence of Verona and has a hotel-restaurant background that goes back over 35 years. Bella Verona enjoys catering to their clients, creating new dishes and continuing the simple good and authentic home-style cooking of Manzana’s region as well as other parts of Italy. As an Italian restaurant in the heart of Salem, they will bring you back to Verona, the home of Romeo and Juliet, to lose yourselves in the atmosphere and excellent food. In keeping to their traditional roots, they offer creative options with homemade pastas, and great daily specials. “Bonchon” means “my hometown” in Korean. True to their original roots, Bonchon Downtown Salem is a family friendly establishment, offering an affordable casual dining experience along with lively atmosphere. Enjoy the flavorful chicken wings that are their signature dish and then wash that down with a local Notch brew. Innovative and inspired menus, fresh raw bar, and a carefully chosen wine list all lead to an extraordinary dining experience at Finz. Our menu emphasizes creatively prepared fresh seasonal seafood. Our raw bar offers the freshest local oysters, clams, chilled lobster, colossal crab and jumbo shrimp. With indoor and outdoor waterfront dining, Finz is a great place to relax and enjoy outstanding food and drinks. Zagat’s rated Finz Seafood & Grill one of the Top 10 Waterfront restaurants in New England. Firenze Trattoria – different selections nightly! Firenze Trattoria is chef Zamir Kociaj’s way of sharing his passion for the authentic tastes of Firenze with the historic town of Salem. Merging years of experience with a neighborhood vibe, Firenze Trattoria is the perfect place to celebrate the simple moments with loved ones and friends while dining on delectable Italian fare. Located on the line between beautiful Beverly and Salem, Massachusetts, on the sunny side of the Salem bridge, Jami’s Kitchen serves its patrons in the New England tradition; presenting great food, fine beer and entertainment for locals and visitors alike. Our outdoor bar has spectacular views of the waterfront and offers harbor breezes, cool drinks and spirited conversation. We’re proud to welcome you, your friends, and your family of our comfortable kitchen! Click here to make reservations on Open Table. Ledger, located in the former Salem Savings Bank building (circa 1818), opened just this year by chef-owner Matt O’Neil and is already being touted by Zagat as one of the six sexiest new restaurants in Boston! Ledger is known for its progressive New England concept of traditional 19th-century dishes, cocktails, and techniques that are elevated with 21st-century resources. This is high-style cuisine, whether it’s the artful plating of each colorful dish or the creative take on wood-fired dishes, house-made charcuterie, and raw bar items. Want to enjoy a healthy meal that will make you feel good about eating? Look no further than Life Alive! Life Alive is devoted to making nourishing and delicious meals that are full of pleasure. Take pleasure and comfort in knowing that they are devoted to the vitality of our bodies, communities, and earth. Located on Pickering Wharf, Longboards Restaurant & Bar serves up award-winning sandwiches, lobster rolls and their new signature flatbreads, all with the promise that you won’t leave hungry. Longboards is your staple neighborhood bar with a full bar and a great list of local beers – check them out during your favorite game or come grab a drink and dinner with some friends! Click here to make reservations on Yelp. For an unforgettable fine dining experience in Salem, enjoy the ambiance, warmth and hospitality of award-winning seasonal cuisine from Nathaniel’s restaurant. The menu features contemporary dining in a historic setting, while offering a carefully crafted wine menu and scrumptious desserts that will complete any night out or special occasion. With what can only be described as a maverick kitchen, Opus’ cuisine boasts unexpected flavor combinations that simply taste amazing. The restaurant’s dynamic sushi team draws on both east and western influences to create sushi rolls that are truly unique. The upstairs dining room is centered around an oversized, glowing glass bar where guests can meet for a drink or enjoy a three-course meal. Downstairs, in Opus Underground, guests can enjoy nightly entertainment in a Moroccan-inspired space filled with cozy seating and thought-out details. Opus is a go-to destination for live music, dinner, and cocktails seven days a week. The Regatta offers casual dining with flair. Try their signature “Regatta Blue” martini with your favorite burger or fresh seafood with a glass of chilled wine. The Regatta Pub offers an eclectic choice of appetizers, salads, sandwiches, and entrees in a relaxed and nautical inspired atmosphere, or chose to dine outside on their patio, weather permitting. Rockafellas established a new tradition in dining in the center of historic Salem in 2003. As the most delicious occupant of the renowned Daniel Low Building, Rockafellas restaurant follows several other institutions of reputation including a department store, a bank (the vault now stores wines) and one of the first churches in America. Their menu features fresh seafood and Black Angus steaks and offers everything from burgers and salads and tapas to gourmet presentations. The wait staff assures a relaxed atmosphere where everyone feels at home. Click here to make reservations. Located on Pickering Wharf, Sea Level Oyster Bar boasts two floors of fun while offering comfortable dining and great waterfront views. Sea Level also features a sit down raw bar packed with the freshest shellfish around. With an extensive beer list and creative cocktails that will quench your thirst while the kitchen cooks up fabulous seafood, gourmet pizzas and more, you are guaranteed to leave satisfied! 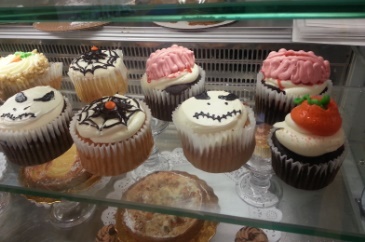 Don’t forget to try their scrumptious desserts stamped in approval. Thai Place Restaurant has been open since 1990. Being the first Thai Restaurant in the North Shore area of Massachusetts, they are proud to be one of the first establishments to present the unique taste, culture and sincerity of Thailand. Thai Place’s dedication to prepare the finest Thai food comes with experience, care for their customers and careful selection of the freshest ingredients. Turner’s Seafood at Lyceum Hall is an authentic New England seafood house in an iconic 1843 building with noted cultural history, complementing their family’s seafood heritage spanning four generations. This is where they prepare the catch-of-the-day becoming classic appetizers, entrees and creative daily specials. Turner’s shucks and serves the finest local and regional oysters & clams in their classic raw bar. And, their seafood market, Salem’s only, offers fresh, raw and prepared seafood to enjoy at home. It’s important to get to the docks early as good fish go fast but, the best go to Turner’s… then to you….dock to table … same day! Salem has become a culinary destination, in addition to its other notoriety; people along the North Shore and beyond eagerly look forward to Salem Spring Restaurant Week. Reservations are encouraged; be advised to contact the restaurants directly. Please mention “Restaurant Week” when making your reservations. The Fundraiser will be held “upstairs” at the beautiful and historic Old Town Hall at 32 Derby Square. “The Fashion Show gets bigger and better every year, and it’s really the perfect way to introduce the dynamic, locally-focused energy behind the Arts Festival,” says Kylie Sullivan, Executive Director of Salem Main Streets (SMS), the community nonprofit that founded the Festival. Featuring fabulous fashions from local boutiques (full list to be posted online soon), attendees can also expect fantastic outside-the-box accoutrements and surprises from local creative genius Grace & Diggs, and other local makers, on the catwalk. 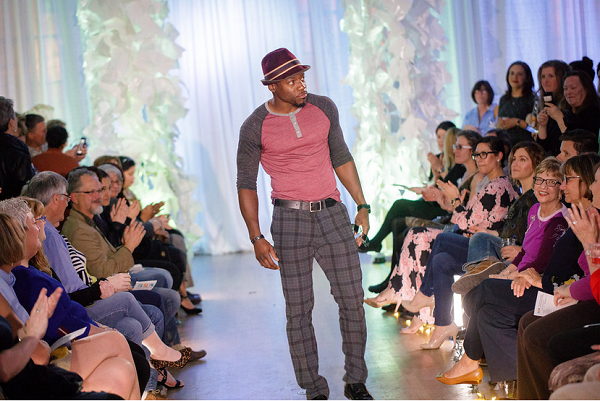 In line with the Salem Main Streets themes of “Live, Work, Play” (inspiring this year’s festival), boutiques will model looks that display the amazing variety and versatility of fashion options that can be found in Salem. Lighting and ambience by Retonica will completely transform the historic hall throughout the night. Karen Scalia of Salem Food Tours returns as the mastermind behind all fashion show logistics and staging, and with the Creative Collective (previously known as Creative Salem) officially joining Salem Main Streets as co-organizer of the Festival, locals know that means it’s going to be an incredible night. Farmers’ Market-inspired snacks by Ferreira Foods, drinks by North Shore Bartending, a photo booth, and a great raffle will make the evening complete. Advance tickets are $35 per person with a cash bar, with $50 VIP tickets available for an assigned seat on the catwalk and a free thank you treat. Tickets purchased the day of the event are $30, with $45 for VIP seats – but this event regularly sells out, so we don’t recommend waiting! Purchase tickets over the phone at 978-744-0004 x115, in person at 265 Essex Street (Salem Main Streets), or online at https://salem-main-streets.ticketleap.com/fashion-2018. Proceeds directly benefit the Salem Arts Festival. 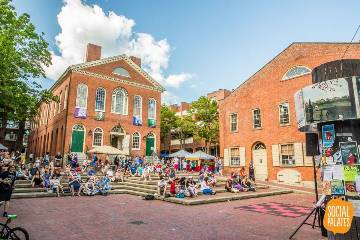 The 10th annual Salem Arts Festival will be held June 1st to 3rd, 2018. SAF is organized by Salem Main Streets, the Creative Collective, and a collaboration of Salem organizations, including the City of Salem, Salem State University, Salem Food Tours, the Phoenix School, Salem Public Space Project, the Salem YMCA, Peabody Essex Museum, and the Salem Arts Association. 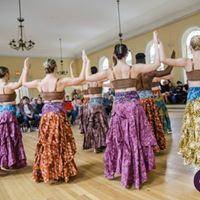 The festival is supported in part by a grant from the Salem Cultural Council, a local agency which is supported by the Massachusetts Cultural Council, a state agency. The festival also relies on the gracious support of its other creative partners, including Retonica Event Lighting, The Scarlet Letter Press, and Octocog Marketing and Design. 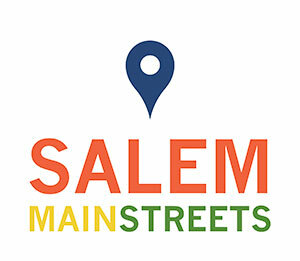 Salem Main Streets' mission is the continued revitalization of downtown Salem as a vibrant, year-round, retail, dining and cultural destination through business retention, recruitment, and promotion of the downtown district. Next Up - New Year's Eve - LAUNCH!